JMI EEE 2019 application form has been released on 25 February 2019. Candidates can fill the form between 25 February – 30 March 2019. JMI is a renowned university, situated in Delhi. 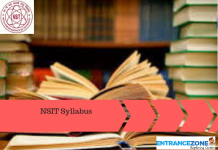 It offers a variety of undergraduate, postgraduate and research courses. Students from all over India can apply. Candidates willing to appear in the JMI EEE 2019 should visit the official website of JMI University and fill the JMI EEE 2019 Application form. The Admission in engineering and architecture courses will be offered on the basis of JEE Main score. First and foremost, a candidate should thoroughly check the eligibility criteria before applying. Furthermore, he or she should have appeared in the JEE Main examination. For applying, candidates need to visit the official website of Jamia Millia Islamia – JMI EEE 2019 and find the link to “Apply”. Then they will have to click on online mode. Next step is to upload their passport size photograph and signature. Further, make sure they are of required specifications. Candidates have to fill the each and every detail of the Application form carefully and correctly and then proceed to submit the form. It is also important to take out the print copy of the Application form positively for future use. Moreover, it will be useful later during the admission processes. Candidates need to pay the Application fees while filling the respective JMI b.tech application form 2019. The applicant can submit the application fee through any one of payment mode. Go to google.com and type Jamia Millia Islamia. After jumping on the website you go to the application form section. click on the admission or on the application form link. and further proceed carefully according to the link. This article contains all the important details regarding the Jamia Millia Islamia Application Form 2018. Candidates should take the note of the time interval during which they can apply for the exam. Examination: Candidates should have appeared in JEE Main paper-I. Qualification: Applicant must be passed 10+2/Intermediate or its equivalent from a recognized Board with Physics, Chemistry and Mathematics as their main subjects. Percentage Criteria: Candidates have to obtain minimum 55% marks in PCM and should have passed in 2016, 2017 or appearing in 2018. Diploma: Diploma holders can also apply with not less than 55% aggregate marks. Age Limit: The age of the student should not be less than 17 years on 1st October of the year of admission. Examination: The candidate should be qualified in the JEE Main paper-II. Qualification: A candidate who hold 10 + 2 certificates with not less than 50% marks in Mathematics, English, Physics, and Chemistry subjects. Diploma: 3-year Diploma (10+3) affiliated by Central or State government and secured 50% marks in aggregate. Find JMI EEE Guidelines Here. It requires complete attention while filling the application form online and applicants must check all the details thoroughly before submitting the application forms. Also, the candidate has to sit for the national level exam JEE Main. 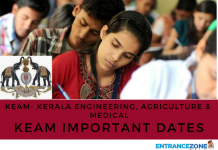 Admission will be granted to the students based on the score obtained in this prestigious entrance examination. Therefore, candidates should preserve their JEE Main admit card carefully. Also once the results are declared they should take a print out of it. It will be crucial for obtaining admission in Jamia Milia Islamia. 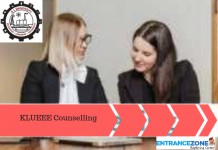 Read full information about JMI EEE 2019 Here. Refer link of Important dates is here. 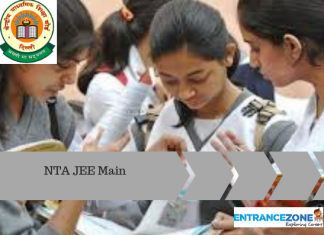 jamia millia islamia admission 2019-20, jmi b tech application form 2019, jamia millia islamia admission 2019-20, jmi application form 2019, jamia millia islamia application form 2019, jamia millia islamia entrance exam 2019, jamia millia islamia admission 2018-19.